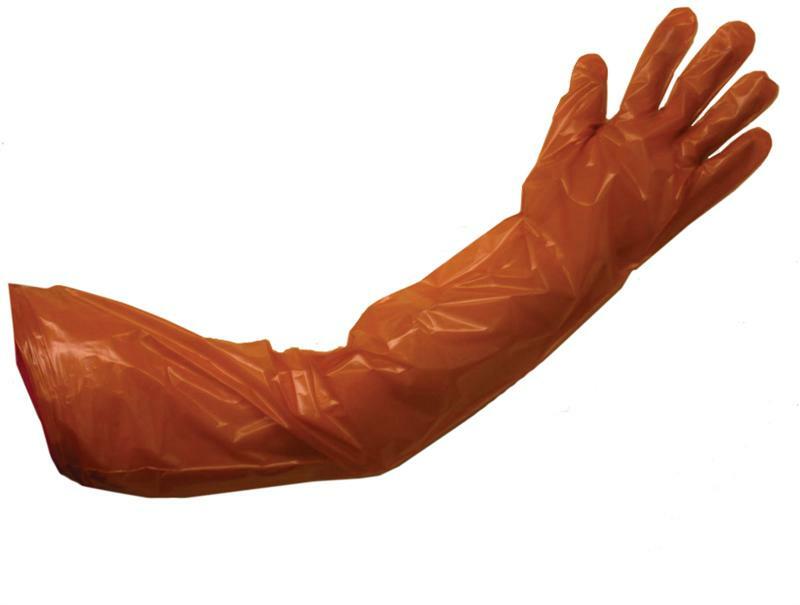 Arm Length Orange Veterinary Gloves are ideal for anyone doing AI (artificial insemination) on mares. 100 gloves per box. Warning- Artificial insemination on mares should only be carried out by people who have received appropriate veterinary training.